A crankbait designed by the Pros. The unique action creates a "Flicker" that imitates a fleeing baitfish. 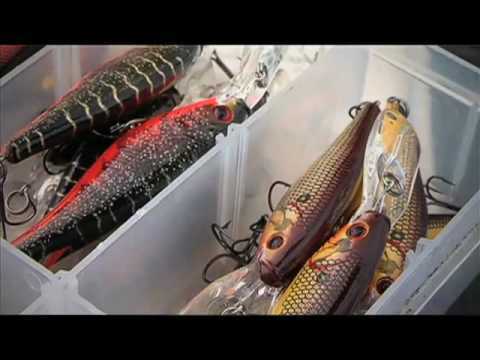 Designed by Berkley Pros Gary Parsons and Keith Kavajecs, Berkley Flicker Shad lures are the result of years of research into what actually triggers a fish to strike. They analysed the actions of the most effective hardbaits to create the best lookin and best performing family of crankbaits ever produced. They know what triggers fish to strike more often. The new Flicker Shad is designed for the ultimate in trolling and cast & retrieve fishing. Armed with its unique rattle, lifelike patterns and highly reflective holographic finishes, this lure gives you the hooksets to land the big ones. 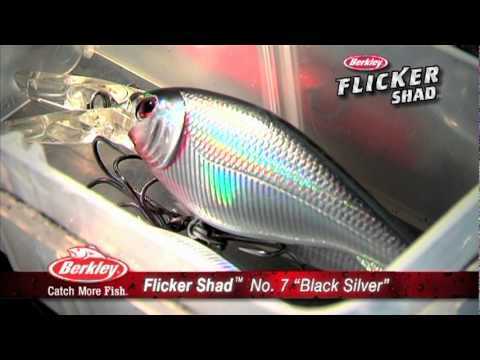 Berkley Flicker Shad is a great crankbait for zander / walleye.